A sturdily constructed blue metal box with snug fitting hinged lid, inside is a metal partition for the thick cardboard 12 month dividers. Dimensions: 10¼in wide x 13in deep x 8in high (26cm x 13cm x 20cm). Also available in olive and grey. This seed store has two compartments and comes with 12 month index cards made of quality card. As the second largest box the greater volume and double compartment is useful for all size packets, including bulky ones. The front rim is low, so they were very easy to see and sort compared to Burgon & Ball’s blue box. A lovely organiser with a sturdy lid that closes cleanly and securely over the top of the packets inside to keep contents fresh. 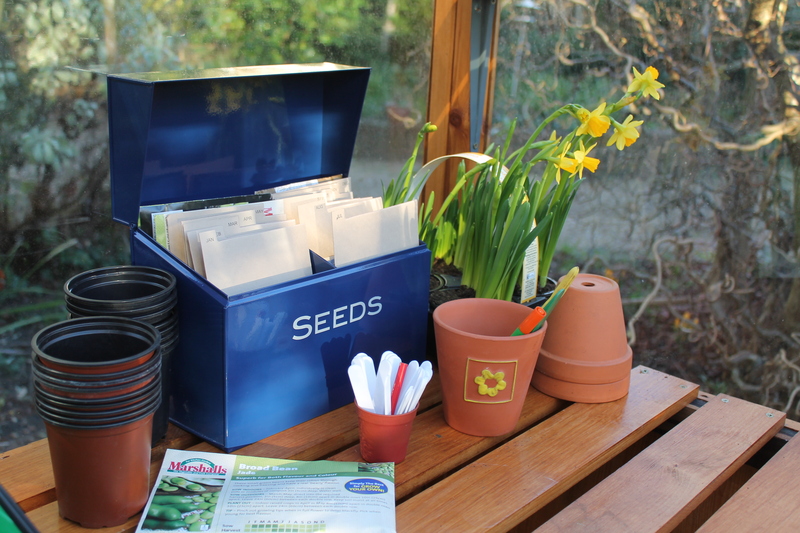 A versatile, good value box to keep all your seed in order for the growing season ahead.